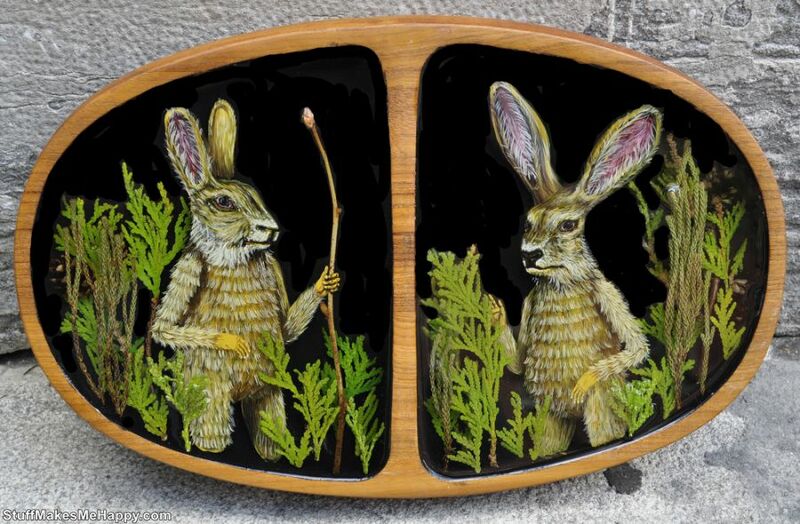 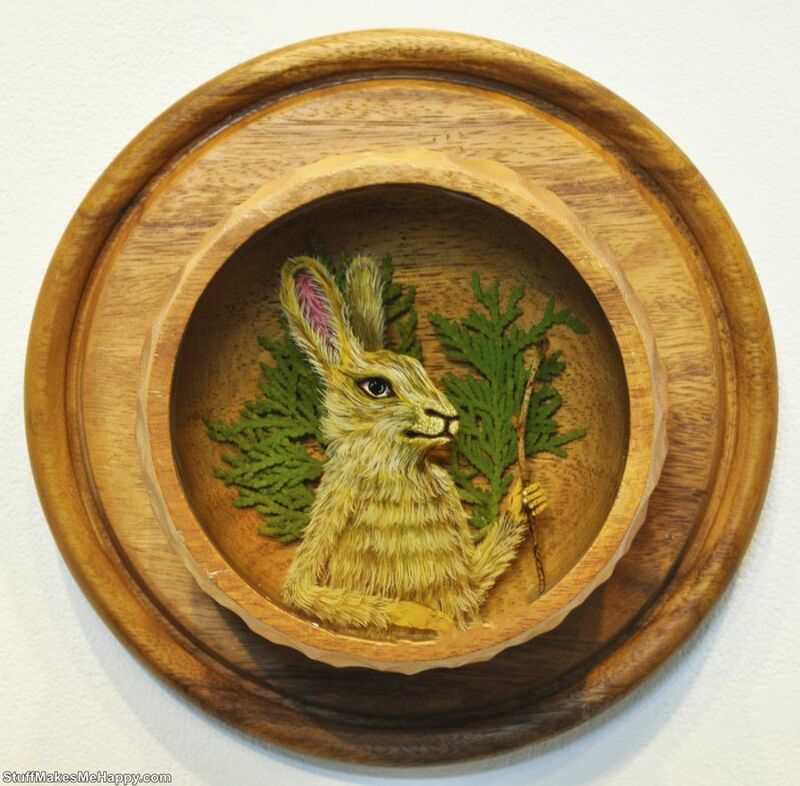 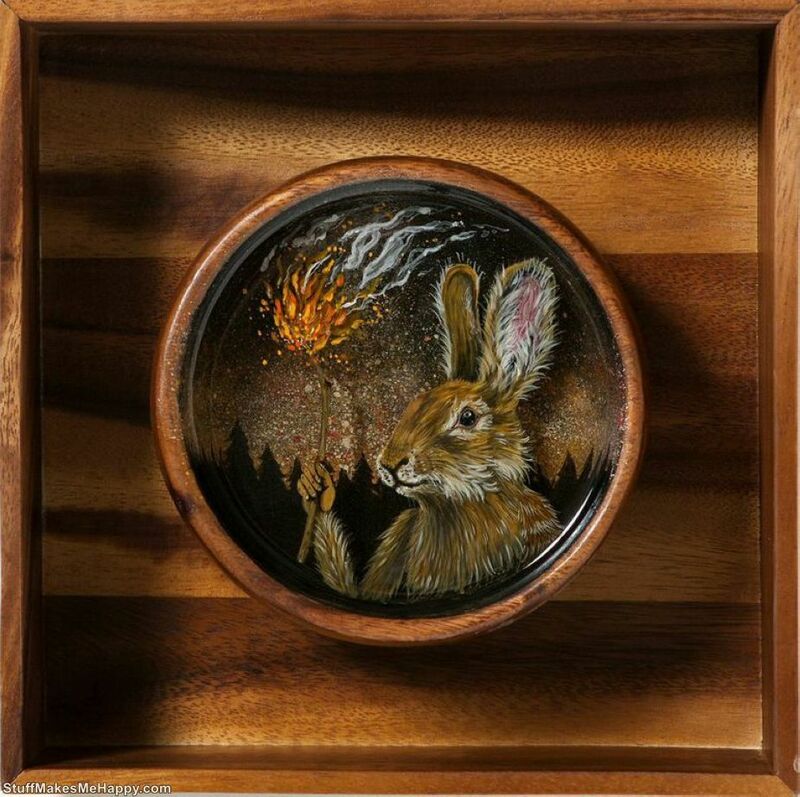 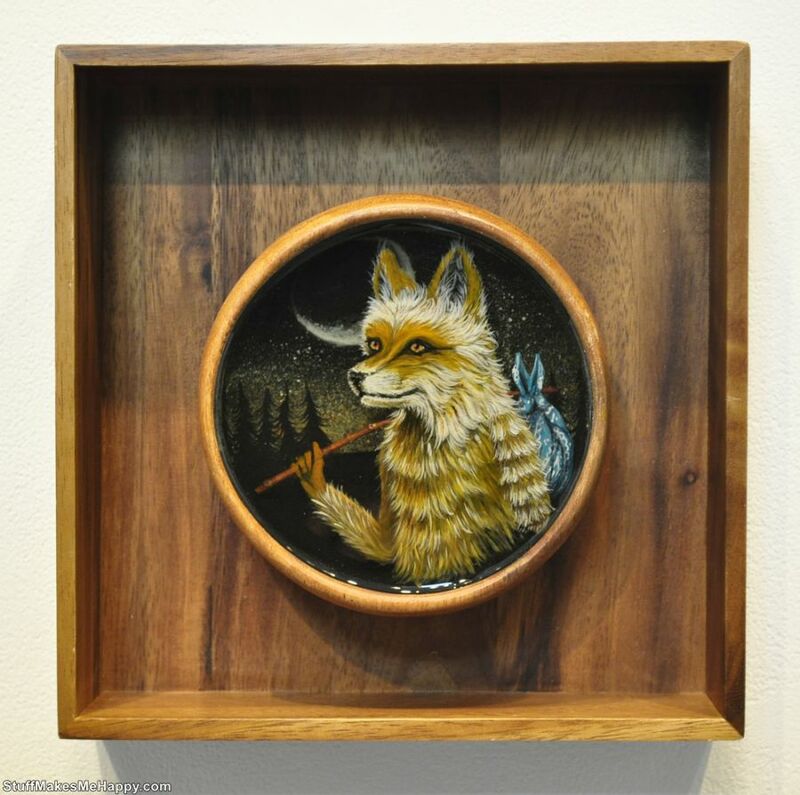 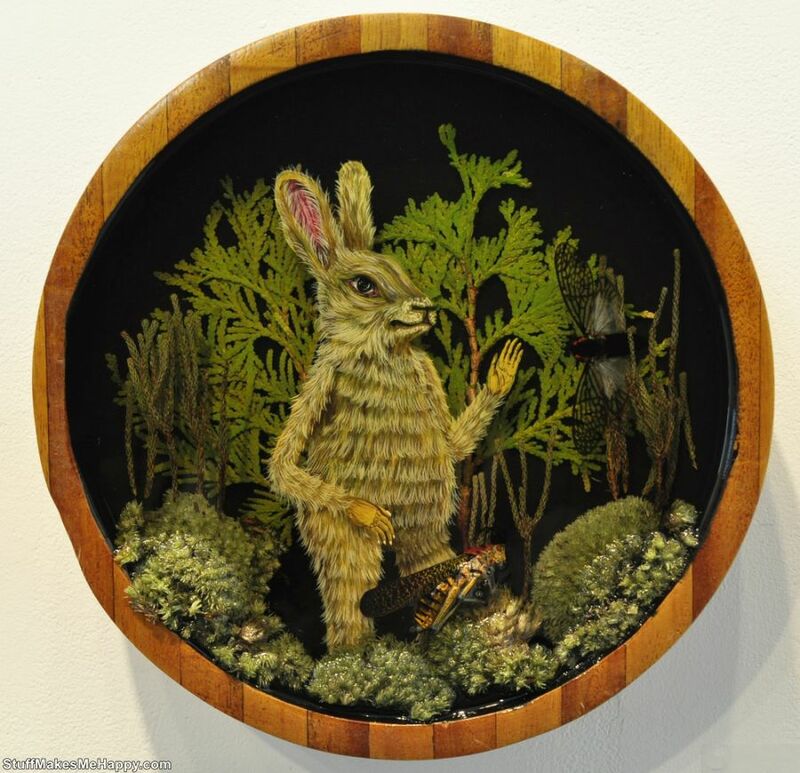 Canadian artist and carpenter Drew Mosley "concludes" forest creatures in a wooden bowl, processed resin layer. 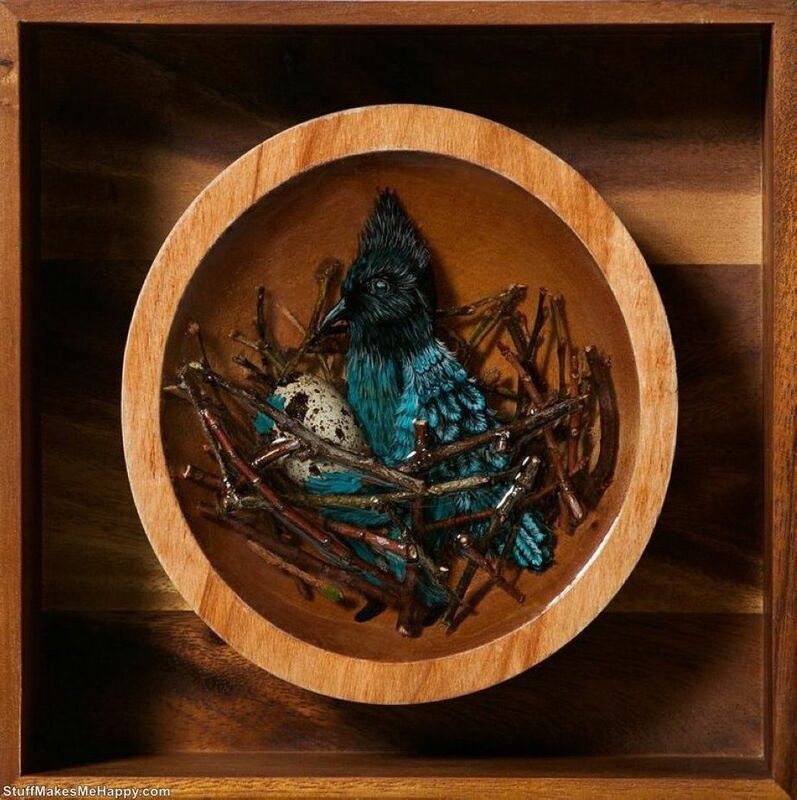 Each work is a combination of Mr. Illustrations and objects of flora and fauna found in the forest - branches, leaves, and shells of eggs of wild birds. 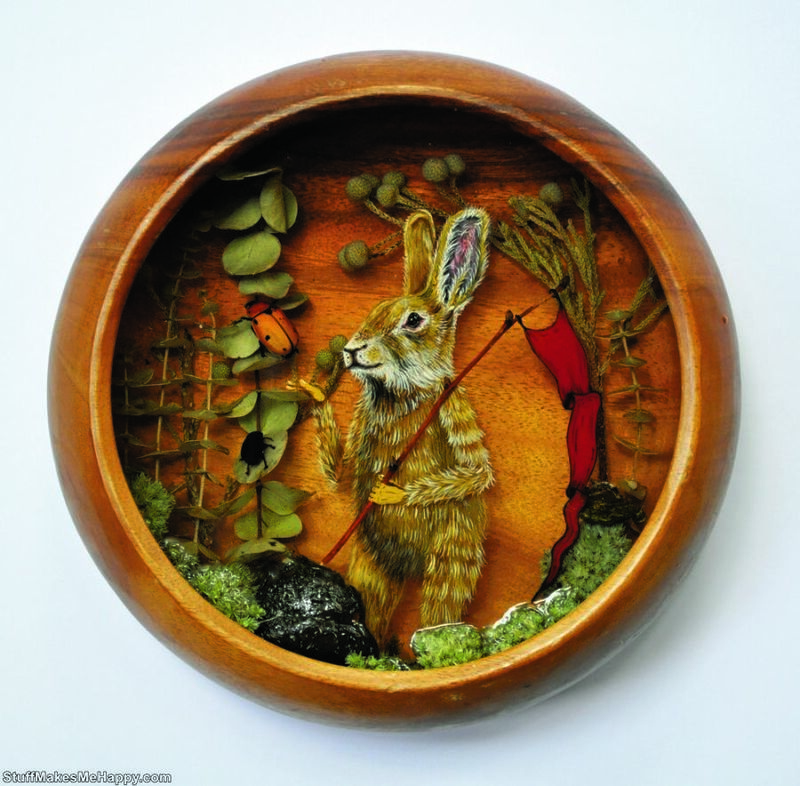 The creations Mosley there is a fine line between fairy drawings and sculptural dioramas. 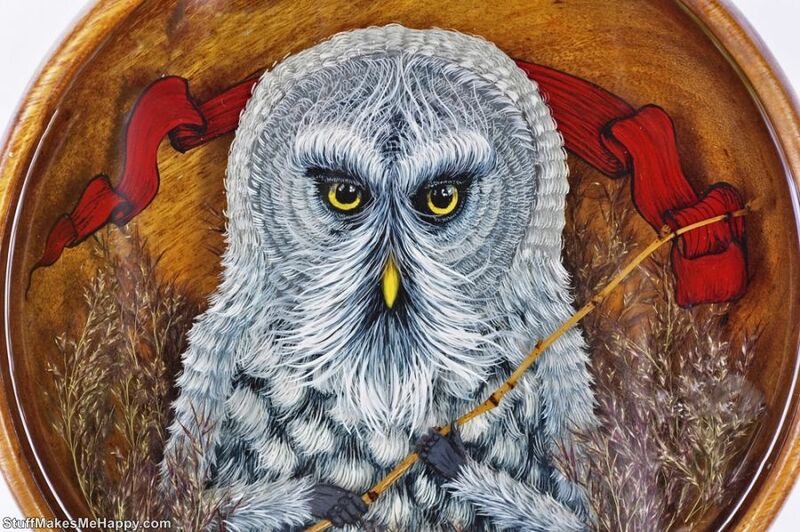 Drew Mosley is known in Canada thanks to its projects; his work is regularly exhibited in local and international exhibitions. 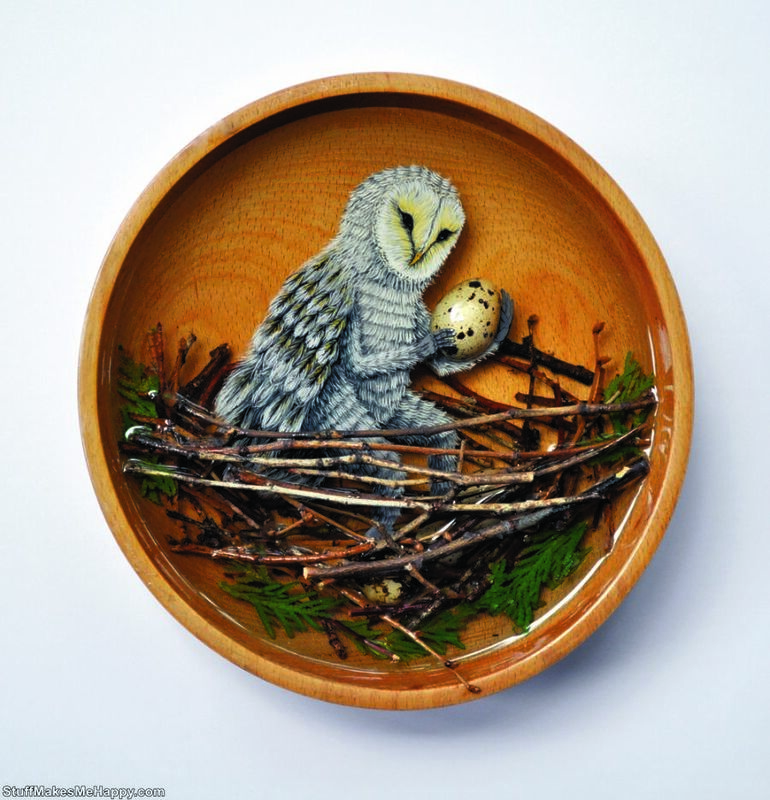 Have a look at dioramas in bowls and get inspired.